Hello, my dear readers! :) Early in the morning I received this beautiful Tiffany blue box :) I know, I know that a lot of you are thinking that there must be some kind of jewelery in this box. As soon as I saw the size of the box, I knew it was too big for any piece of jewelery. But the box was picture perfect so I had to take a picture of it! 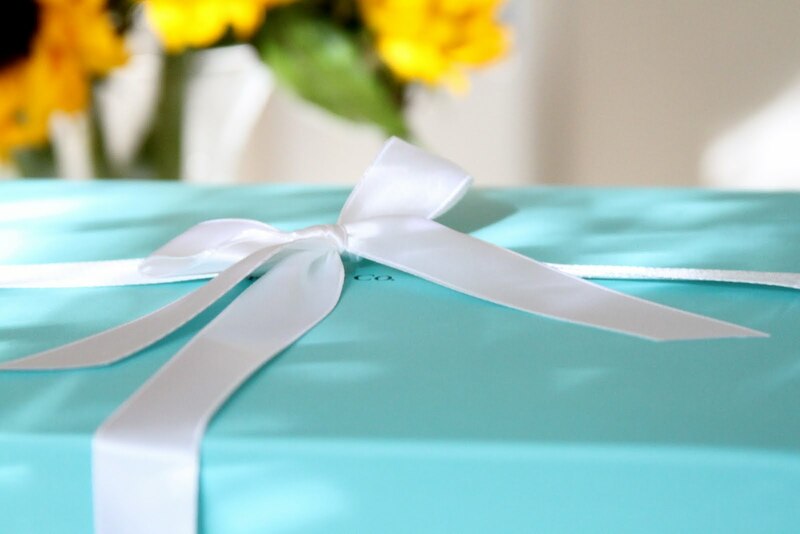 It was an absolutely beautiful timeless blue box wrapped with a satin ribbon. And guess what I found inside? 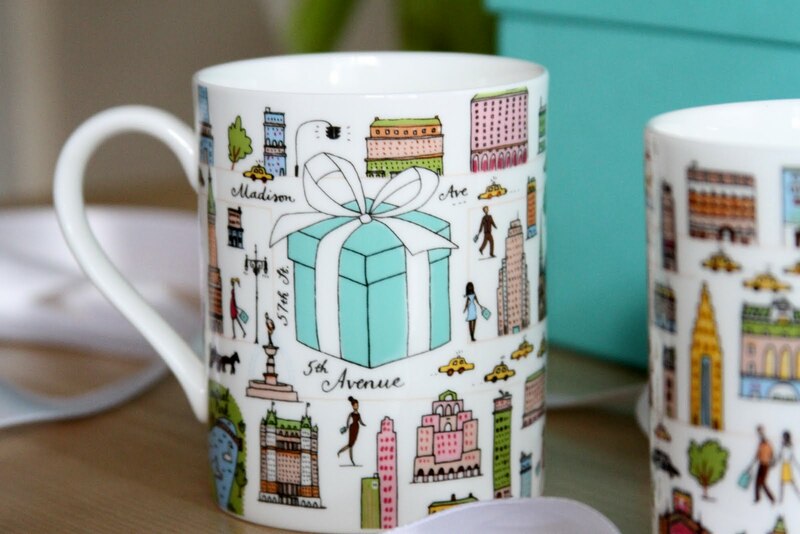 The lovely 5th Avenue mugs that I've been thinking of getting since last year. 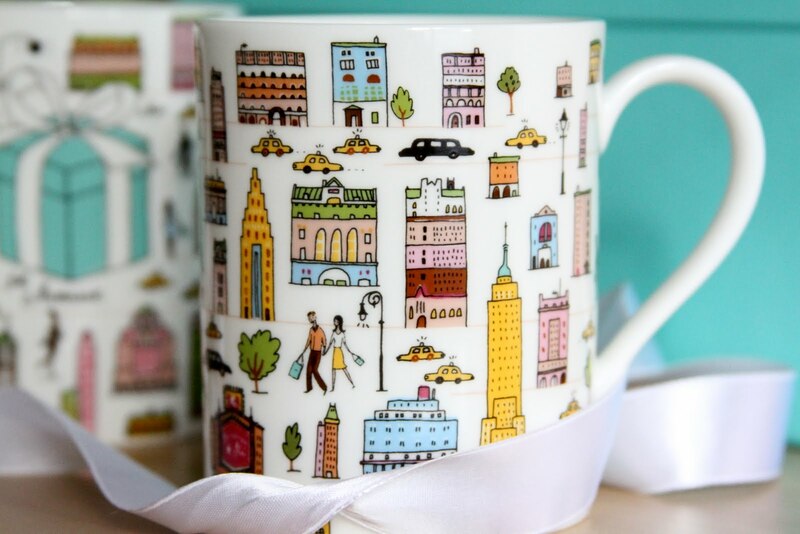 They have these adorable pictures of New York City. I just love them! Wouldn't they be perfect for the latte on a lazy Sunday morning? :) This box and a bunch of sunflowers totally made my day :) Life is beautiful! Привет, братцы-кролики! :) Как давно не писала на русском, но недавно проверяла статистику блога - ко мне по-прежнему заходит очень много читателей из России, спасибо вам большое, что не забываете, заходите, читаете. Мне очень-очень приятно, что вам нравится мой блог! Отныне блог буду писать на английском и на русском. Только вы не судите строго, если вдруг ошибки найдёте в моих рассуждениях, я не так часто пишу и говорю на русском в последние годы. Ну так вот, сегодня утром почтальон принес мне большую коробку от Тиффани, того самого знаменитого голубого цвета :) Знаю, знаю, что многие из вас подумали, что в коробке должно быть ювелирное изделие. Окинув глазом размер коробки, стало понятно, что коробка слишком большая для ювелирных изделий. Всё выглядело таким идеальным, что мне ничего не оставалось делать как начать фотографировать - легендарная голубая коробка от Тиффани, перевязанная сатиновой ленточкой :) Угадайте, что там было? Фарфоровые кружки "5-ая Авеню", которые я хотела купить ещё с прошлого года! Такие смешные и милые с рисунками Нью Йорка. Вот эта коробка и охапка подсолнухов сделали меня сегодня абсолютно счастливой :) Жизнь прекрасна! so coool gift..kissess from Greece!! follow us and we will follow you back honey!! Those are the cutest mugs! Still waiting for the day I own one of those magic blue boxes! They're so adorable, love them! you have very nice blog, so I follow! I've always wanted to get a present from Tiffanys! I'd like a nice necklace but your mug is beautiful, too! THe mugs are lovely. :D and the package is just too pretty! those mugs are so pretty! what a great surprise! thanks for the blog visit and lovely comment! your blog is so fantastic I love the meaning of your blog! :) What a fantastic gift, so cute! Just found your blog, OMG, those mugs are so cool and that must have been a lovely morning to find that blue box on your doorstep. hehe.. 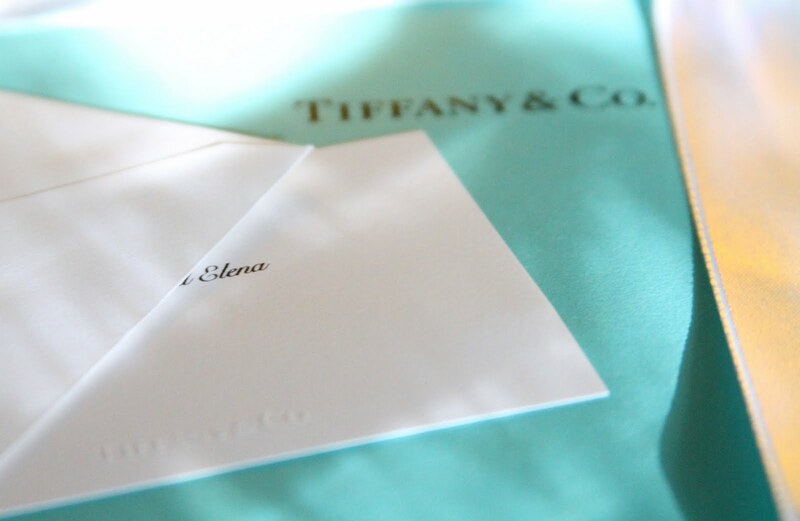 I think anything in a Blue Tiffany's box is just wonderful and beautiful! Love the flowers beside it, great contrasting colours! I was surprised to see that most of the comments were deleted from this post due to the server issue. But I guess pretty much every other blog had the same problem. You have such a lovely blog, now following! !